Where can I add the "reverse charge" note? The "reverse charge" note can easily be added in your documents. For some clients/suppliers, you may have to mention the words "reverse charge" in your documents. 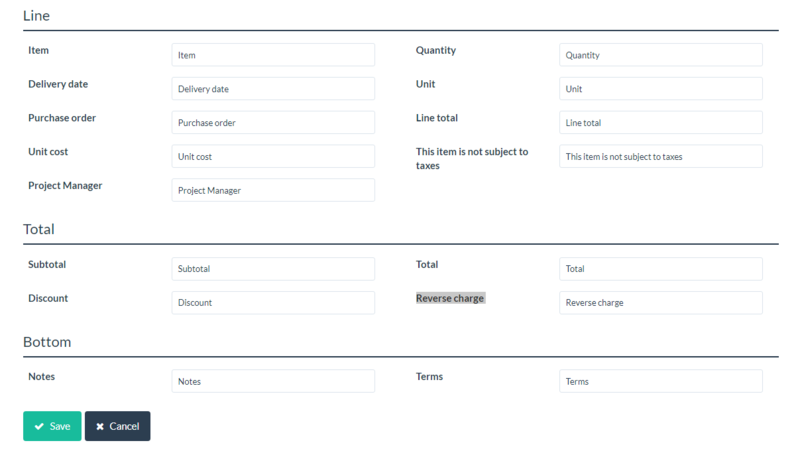 To make sure it appears on each document you create for these particular clients/suppliers, you can add it in the Terms section of the invoices. For that, you have to go in Settings > Document and email configuration. 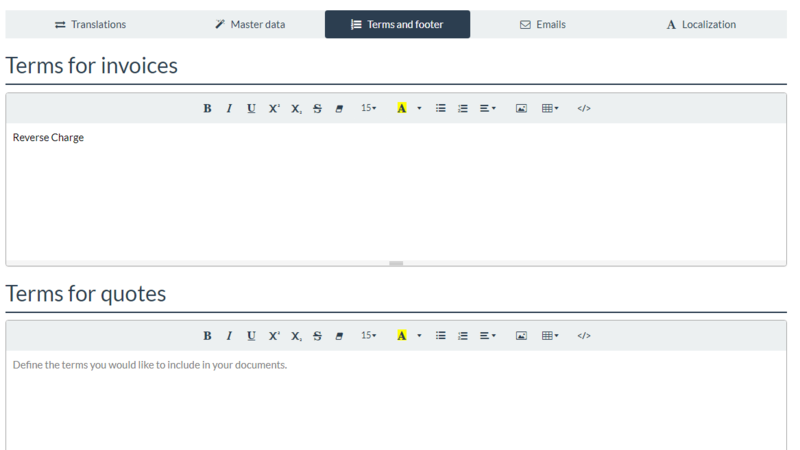 You select the configuration in which you want to add the "reverse charge" note (or you create a new document configuration) and you click on the Terms and footer tab. You then insert the "reverse charge" note in the field. Click on Save. This note will automatically appear on every document you create with LSP.expert for the clients/suppliers for whom you selected this document configuration. To select the right document configuration for a client/supplier, you have to go under People > Clients/Suppliers. If you add the "reverse charge" note in your configuration after having already created documents, you can regenerate them (= click again on Actions > Generate PDF) to add your Terms (and thus the "reverse charge" mention) on these documents. Don't forget, in this particular case, to click on Reset in the Terms part (at the bottom of the document) and on Update terms and notes. When you do that, the client/supplier will automatically be updated (meaning that all future documents for this person will have the "reverse charge" note). To change the text of the mention (it says “Reverse charge” by default), you can go under Settings > Document and email configuration. You select the configuration in question and you use the Translations tab to modify the text next to the “Reverse charge” field.